a rapid process of ageing of farmers population. We aim to jointly explore the possible evolutions of the Thai agricultural sector in such a context. 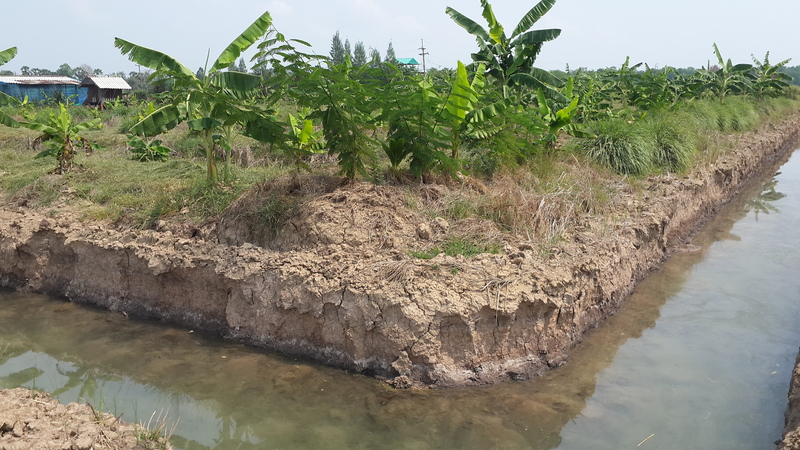 The research is conducted in the Upper Bang Pakong delta in the Prachinburi province and first consisted in characterizing agricultural systems in relation to water management dynamics (report: Aguilhon, 2017; and also a synthesis: Phiboon et al., 2017). Land use changes and their impacts on agricultural water requirements were assessed (report: Pannon, 2018). Another preliminary work focused on young farmers: 1) their objectives, their activities, the constrains they face and the support they obtain – this study took place also in Chiang Mai Province (report: Cochetel et al., 2017); 2) a review of international policies for supporting young farmers and perspectives for considering these policies in the Thai context (document: Faysse, 2017). A study has been conducted on the vision that young people in the study area have of farming in general and of becoming a farmer (see Ruiz, 2018a for the whole report and Ruiz, 2018b for an executive summary). A key result of this study is that, although most young people are currently not involved in farming, 75% of them would actually be ready to become a farmer if some key constraints (access to capital, knowledge, etc.) were solved. A second study was conducted on young students of agricultural colleges and universities in Thailand. This study showed that many of these students were interested in becoming farmers, but they had to plan to work outside agriculture first for several years in order to gather the capital needed to start farming (summary: Filloux, 2018; NEW whole report, Filloux, 2019). In the first part of 2018, the focus is on interacting with 4 groups of farmers, to characterize possible “rooms for manoeuvre” in order to improve agricultural systems and better deal with water issues. These groups are involved in: i) initiating organic farming, ii) diversification of agricultural production, iii) improving the profitability of fish farming, and iv) collectively improving collective management of irrigation water. 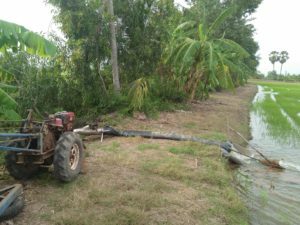 The second part of 2018 is dedicated to the participatory elaboration of scenarios related to likely and desirable trends in the coupled agricultural and water sectors (see a first version of these scenarios: Phiboon et al., 2018). Trend analysis and scenario discussion will open the way to discuss multi-level initiatives that can lead to sustainable farming, and notably facilitate the involvement of a new generation in the agricultural sector, a challenge faced by all countries in South-East Asia. A second area of investigations, this time in the center part of the Chao Phraya Delta, north of Bangkok, relates to the processes, perceptions, and consequences of the establishment of flood retention zones following the 2011 floods that struck Bangkok (whole report: Trakuldit, 2018). These studies are replaced in a national level perspective as we also study the dynamics that underpin the historic importance that the Royal Irrigation Department pays to infrastructure as well as the trajectory of the Thai National Water Act initiated some 20 years back and whose elaboration has been re-ignited recently, putting in motion a number of groups with varied interests and ideologies. We will in particular explore what kind of knowledge systems, influences and models underpin the Water Act successive proposals.